With the ASUS S1 Pocket Projector, ASUS has managed to shoehorn a surprisingly capable projector into a nearly rectangular block that's small enough to fit on your palm. It even looks good, with a silver metal case, rounded corners, and a high quality fit and finish. 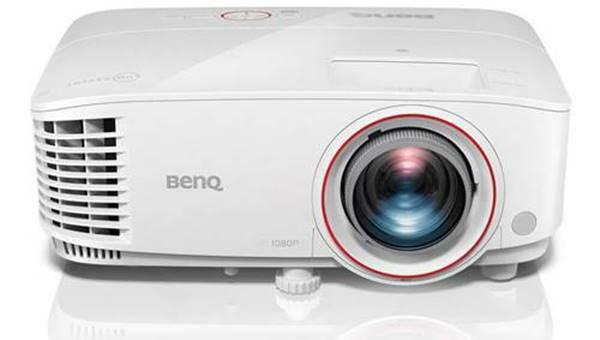 Like most projectors this size, it's built around a DLP chip and an LED light source. Also like most, it's meant for both casual home use and for business presentations on the go. The native 854x480 resolution, with its 16:9 aspect ratio, seems targeted more for home than business, but the 200-lumen brightness rating, measured at 150 lumens, makes it bright enough to be useful in either role. Note that the only input is MHL-enabled HDMI. That makes it easy to use with an MHL-capable phone or tablet, but also means you may not be able to connect it to your laptop. Assuming you can connect it, however, it can be a highly useful traveling companion, and nearly an impulse buy, at $319.99. Like most projectors in its size and weight class, the S1 is built around a DLP chip that's designed to maximize brightness, but also adds apparent scaling artifacts. The artifacts are most obvious as added patterns in areas filled with repeating patterns of dots or fine lines. They can also give images a soft focus look. You'll see similar artifacts with any DLP or LCD projector if you use an input signal that doesn't match the projector's native resolution. With the S1, however, they also show up at the native 854x480. Fortunately, this isn't necessarily a problem. If you don't use patterned fills in graphics, you may never see the artifacts, and even if you see them, you may not mind them. The S1 has an advantage as well, compared with higher resolution models with the same issue. If 854x480 is the appropriate resolution for your needs, you probably won't be showing images with a level of detail that will be noticeably affected by a slightly soft focus. And given the SD resolution, you're not likely to notice any effect in video or photos either. Rainbow artifacts (flashes of red, green, and blue) are another potential issue for any DLP projector. With the S1, I saw them infrequently enough with data images that it's unlikely anyone will find them bothersome. With video, I saw them often enough that anyone who sees them easily will notice them, but infrequently enough that few should find them annoying. Also demanding mention is that the S1's color brightness matched its white brightness in my tests. That's notable because many DLP projectors, including models that use LEDs, have significant differences between the two, which can affect both color quality and the brightness of color images. Having the same value for both means you don't have to worry about that possibility. Data image quality. In most other ways data image quality was impressive for a projector in S1's size and brightness range. Color balance was excellent, with definitively neutral grays at various levels from black to white in all predefined image modes. Color quality was just as good, with vibrant, eye-catching color in all modes. More important for data images, the S1 handled detail well enough for any images you're likely to use an 854x480 projector for, including PowerPoint slides. White text on black, for example, was crisp and readable at 9.0 points, and black text on white was easily readable at 7.5 points, despite a minor soft focus effect. Video quality. Although the S1's video quality is limited by its native SD resolution, its (nearly) 16:9 aspect ratio at least lets it take full advantage of the resolution it has with widescreen video. Colors are within an acceptable range, as long as you're not too much of a perfectionist. However, the predefined Theater mode has obviously better color than the brightest mode, which tends to give skin tones a green tint. That basically leaves you a choice between noticeably better color and a larger usable image. Colors also tend to be a little flat, as you would expect from a low contrast ratio. On the plus side, the projector did a good job with shadow detail, even with clips that many data projectors have problems with, and it showed only a hint of posterization in scenes that tend to cause that problem. As long as you don't see rainbow artifacts easily, or don't mind seeing them occasionally, the video is more than watchable for long sessions. I thought LED lighting eliminated the rainbow effect ? Is that not correct ? Claude, that is not correct. Sometimes it can make it worse. The LED light source functions by alternating red, green, and blue in temporal sequence, just like a color wheel does, and that's what causes the problem. I'm interested in the reviewer's discussion of brightness and the term "moderate ambient light". Does that mean it can be used in hotel hallways outside conference rooms? The lighting in such places is softer than office lighting, but certainly not "theatre dark". If I'm showing slides on the wall outside the conference room, for people to glance at as they arrive, will they see something useful? Given the above, I'm disappointed that the projector doesn't have connectivity for USB thumb drives, SD cards or WiFi. Does anyone have suggestions for a projector that's bright enough and better connected? I've had a brookstone hdmi projector for 2 years now, it's a great little projector that has served me great but I am looking for an upgrade within the same dimensions. I certainly welcome the added lummens but I wonder if there is a projector this size with 720p resolution? Also can you comment of the fan noise compared to the brookstone? Does it have a fan? How noisy is it? The asus S1 has no built-in wireless connectivity however, I saw a video on youtube that demostrated how it can be used with an ASUS wireless dongle plugged into its HDMI port. Does anyone know which dongles are compartible with it? I'll really like to be able to connect my laptop and phone to it wirelessly for ease. What resolution do I need? I have the projector and all it is showing is the desktop background. Nothing else shows up. I bought Asus S1 pocket projector. I connected it to my laptop using the HDMI cable, it doesn't show any picture, just writes NO SIGNAL. What might be the problem?. Samuel, typically it is because your laptop does not automatically output a video signal via HDMI until you tell it to in the display settings.